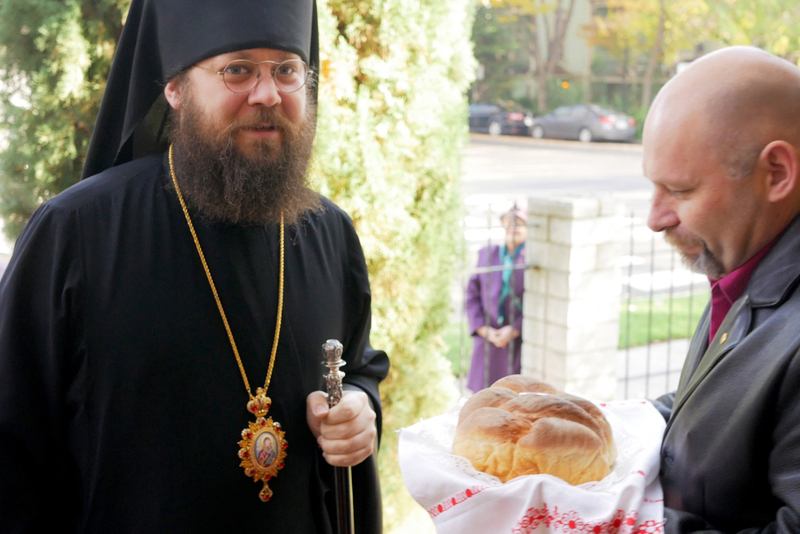 Local clergy and parishioners along with many guests greeted His Grace Bishop Irenei on Sunday morning with a tradition peal from the belfry and bread and salt. 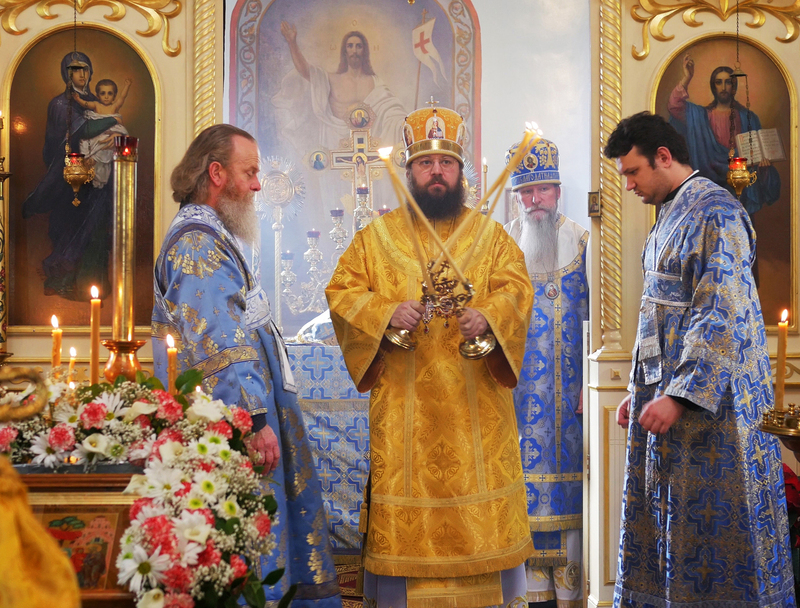 After His Grace was vested in the center of the church, His Eminence Archbishop Kyrill presided over the Divine Liturgy. 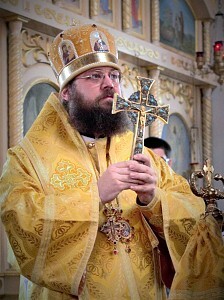 Concelebrating with him were Bishop Irenei of Sacramento, Archpriest Paul Volmensky (Rector), Archpriest James Steele of St. Elias Church in Diamond Springs, CA, Archpriest Steven Tumbas of St. Sava Church (Serbian Archdiocese) in Jackson, CA, Hieromonk Paisius who represented St. Herman of Alaska Monastery (Serbian Archdiocese) in Platina, CA, Hierodeacon Peter (Karakozoff), Deacon Nicholai Lenkoff, Deacon Edward Anderson, Deacon Timothy Winegar (OCA) and Deacon Nicholas Stoltz. 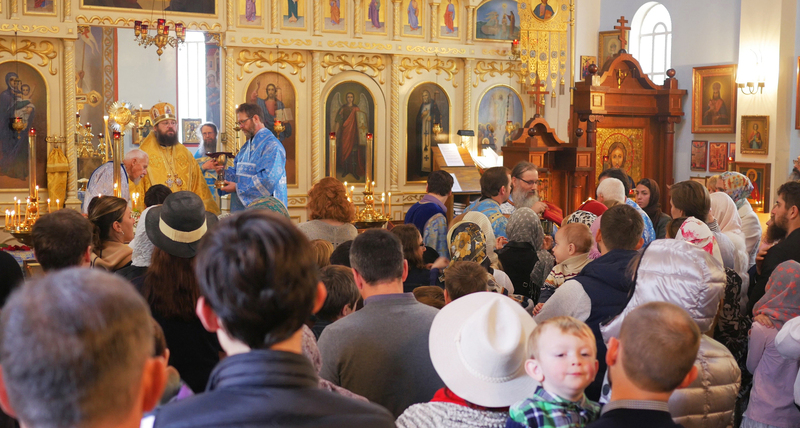 Holy Ascension Church was filled to overflowing and the faithful communed from two chalices due to the multitude of children that were brought by their parents for the Feast Day of the Entry of the Theotokos into the Temple. 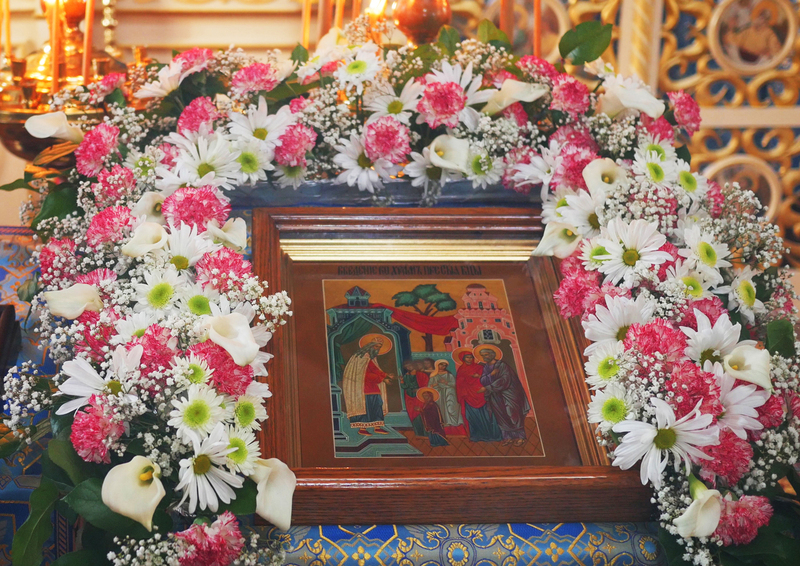 We are also celebrating today one of the most important Feasts of the Mother of our Saviour, the Entrance into the Holy Temple of our Lady the Ever-Virgin Mary... [T]his young Girl was led into the Temple. 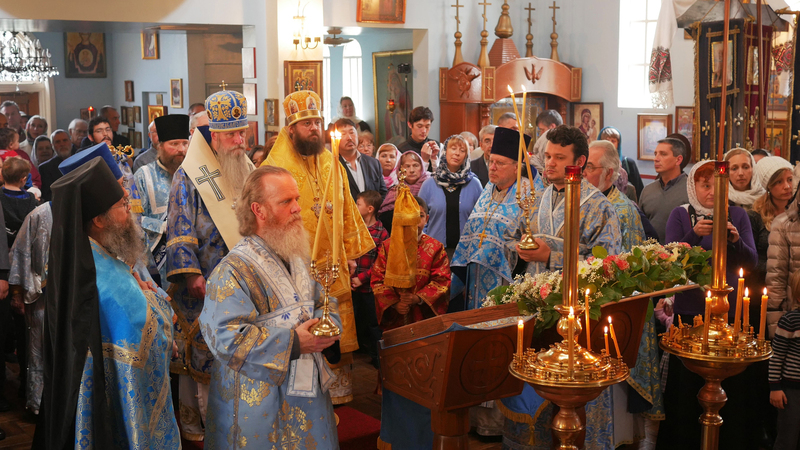 She was led there with songs of joy, She was lead with candles and music, and dancing to draw Her out of the life of the world into the Temple of God. And there She found Herself taken up in the spiritual life. 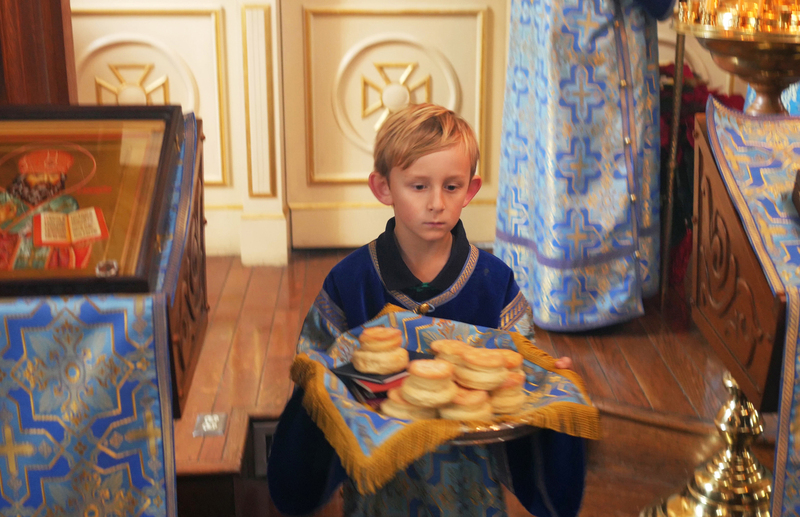 The Angel, the Archangel, came and fed Her from his own hand in the Holy of Holies. Sometimes we do not realize how long a relationship the Mother of God had with the Archangel. 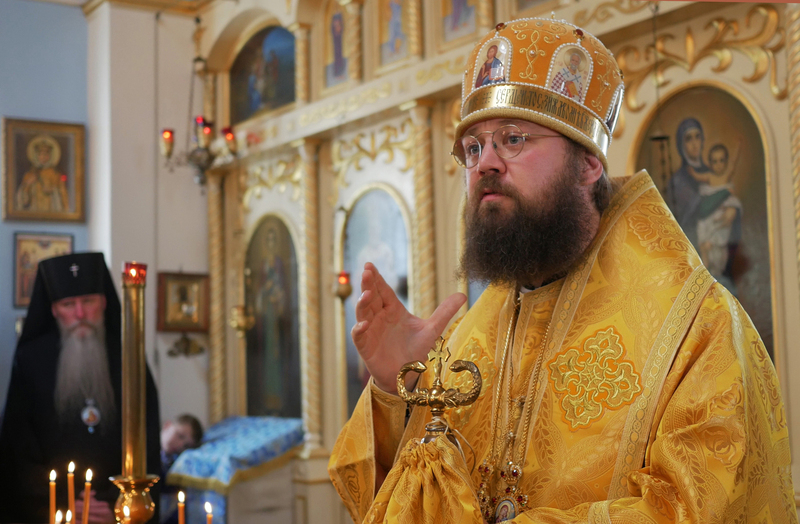 When he came to speak to Her at the Annunciation, when he announced to Her that She would bear Christ, the Saviour of the world, we know from the Gospel the strange fact that She is not overly surprised. She is not shocked that an Angel would come and speak to Her. She is startled by the miracle. But that an Angel would come and minister to Her is no surprise to a woman Who from her childhood had been ministered by Angels and fed from their hands. Her life in many ways is different from ours. Most of us have not been called into the Holy of Holies. Most of us have not been fed from the hand of an Angel. Though there are some who have seen them, some who have spoken with them. But one thing we share absolutely with the Mother of God: that when God called Her and when God calls us, we have a choice. On each occasion when the Lord speaks to the Mother of God, She has a choice to heed and to be obedient, or to follow Her own will. And on each occasion through Her purity of life, through that abundance of Grace that rested upon Her, She chooses to let the Lord’s will be done. And because one woman choses to be obedient the whole world gained salvation, because of one woman’s obedience. Do not let the world convince you that your life does not matter, that we are insignificant. 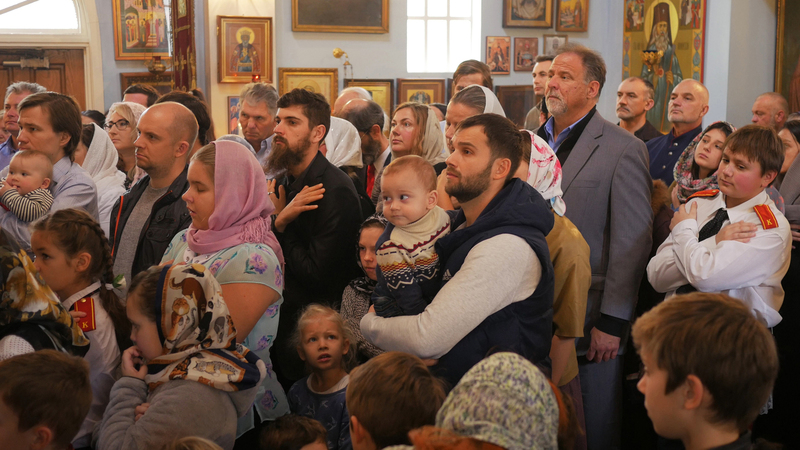 If just one person in this room, one person, would have the true obedience that we see in the Mother of God -- from Her childhood through to Her last dying breath -- we would see the world changed, transformed, glorified. The Mother of God means for us an inspiration of how we are to live. 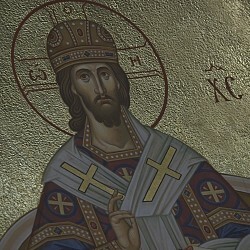 We heard in the Gospel today how someone tries to glorify Her in Her own right, to glorify her lineage. 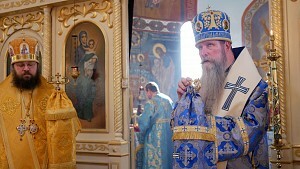 But the response that comes: “Yea, rather blessed are those that hear the Word of God and keep It.” As we glorify and honor the Holy Theotokos may we also heed this charge to hear God’s Word, to keep It with reverence, obedience, piety and so behold the Resurrection of Her Son and our Saviour Jesus Christ. Amen.” (An audio recording of the entire text is posted below). 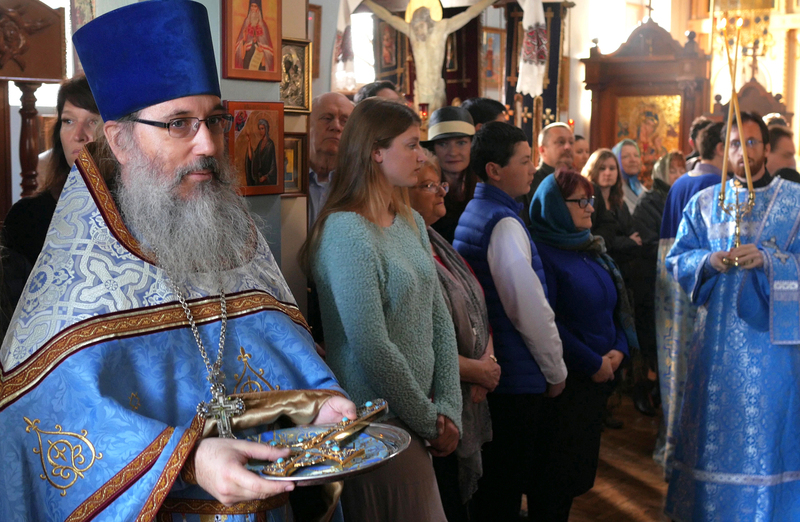 “Many Years” was intoned for the newly-chosen Bishop of Sacramento, His Grace Bishop Irenei. 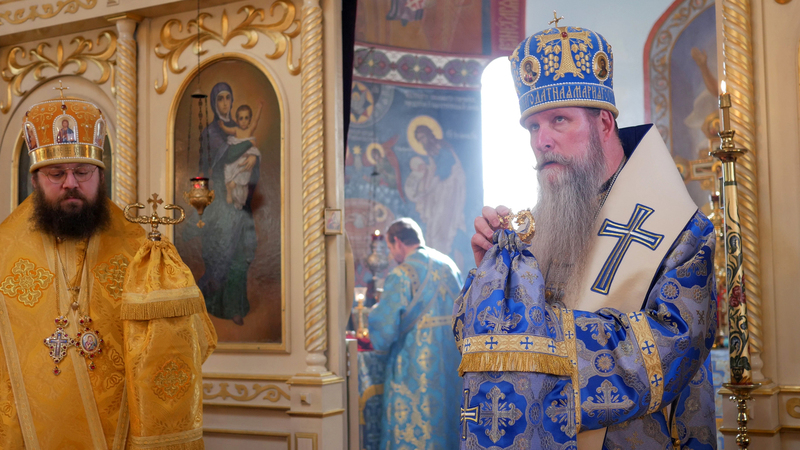 The trezvon from the belfry marked the completion of the joyous ceremonies and all of the faithful heartily congratulated His Grace Irenei Bishop of Sacramento as they approached to venerate the cross, and as he walked to the church hall for the festal meal. 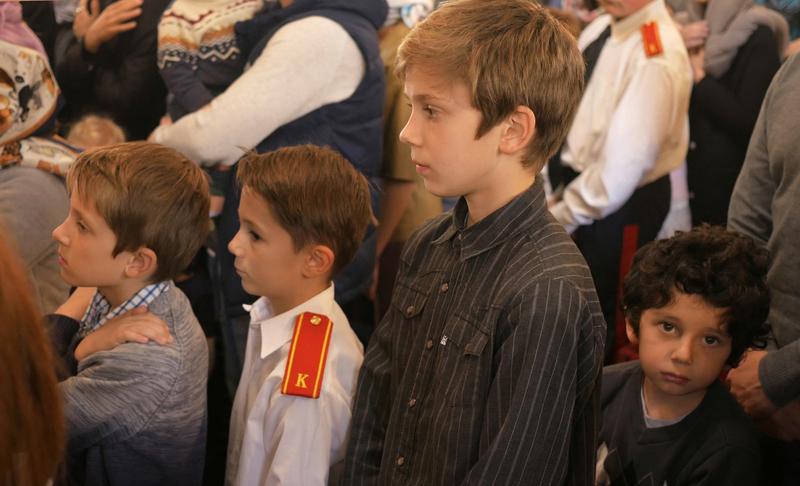 The church hall was filled to overflowing. However, the cool, but mild winter skies of Sacramento allowed for the faithful to also dine out in the churchyard. 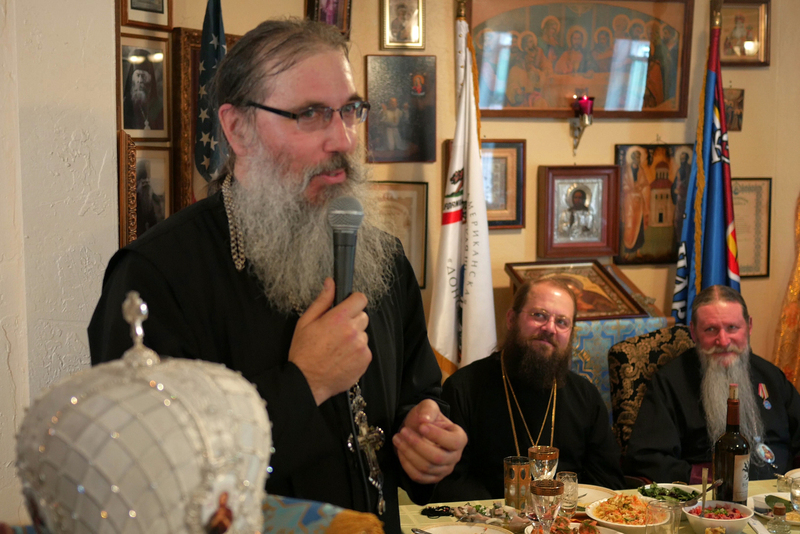 Other Orthodox clergy from the Sacramento area both of the Western American Diocese and other Orthodox jurisdictions joined the bishops and faithful for the festal meal. 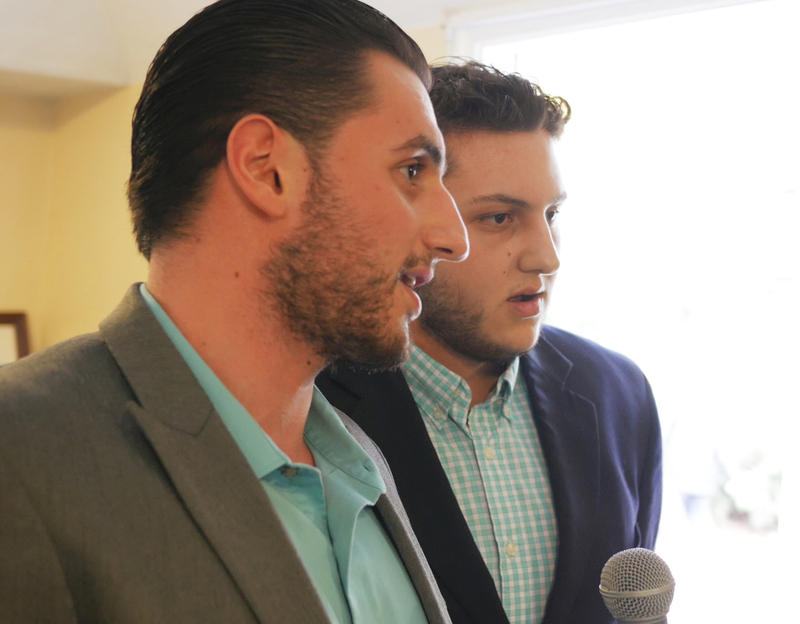 Nicholas and Nathaniel Baba of Saint Mary’s Antiochian Church in West Sacramento honored the enthronement of Bishop Irenei by chanting “It is truly meet” in a Byzantine melody. 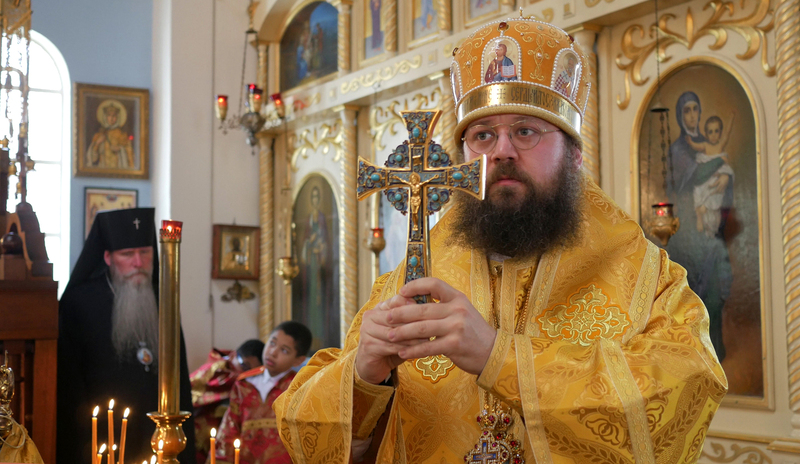 This inspired Archbishop Kyrill to request that “Many years” be sung for His Beatitude John X, Patriarch of Antioch and All the East and for His Eminence Joseph, Metropolitan of the Antiochian Orthodox Christian Archdiocese of North America. 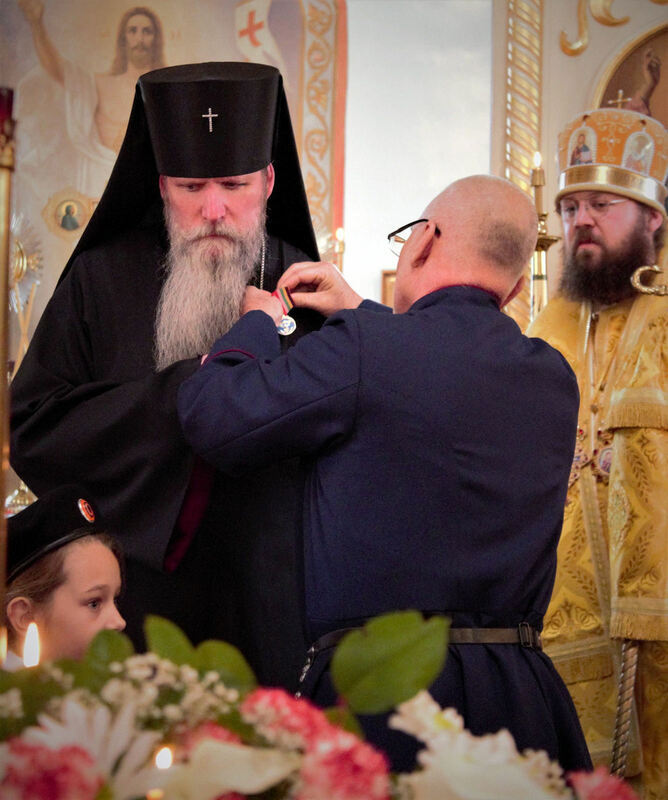 On behalf of the clergy and faithful of Holy Ascension Church, Oleg Kudryavtzev, the Church Warden, gifted His Grace Bishop Irenei of Sacramento a white mitre. Peace and love reigned throughout the day. 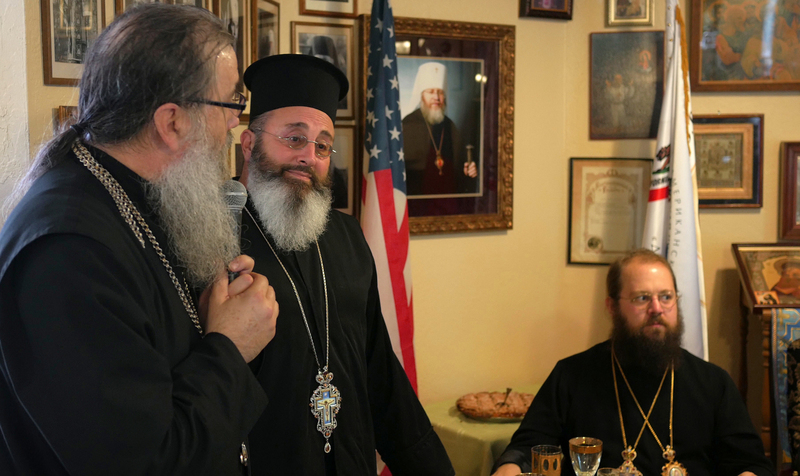 Many Years to His Grace Irenei, the newly-chosen Bishop of Sacramento! 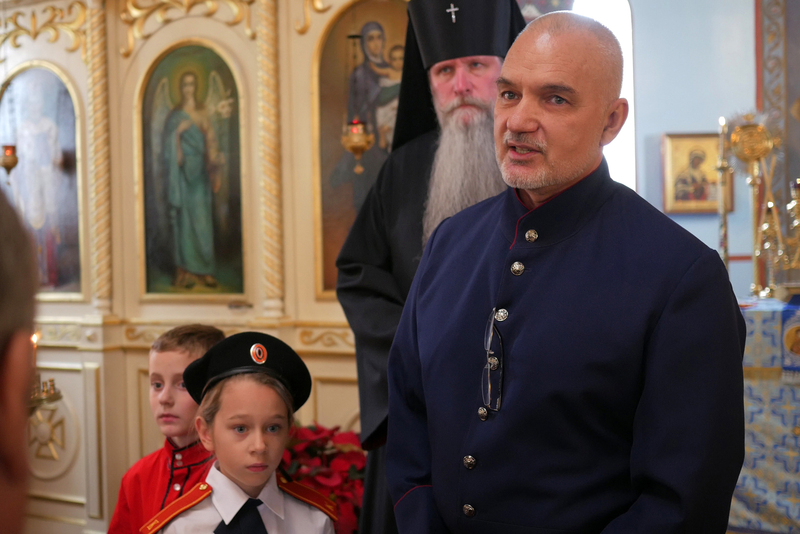 His Grace will commence his duties at the parish immediately as he will oversee the 10th Annual St. Herman’s West Youth Conference, sponsored at Holy Ascension Church at the end of December this year.